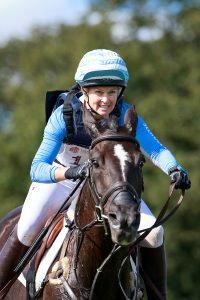 So here we go for the start of the 2019 UK season for Tim and Jonelle and Little Gatcombe, which has had to deal with conditions over the years varying from gale force winds, snow, foot and mouth, torrential rain and then this year was blessed with perfect footing and sunshine. Just to recap, it was cold in the wind! Cam and Darnelle Price arrived looking more ready for a summers day in Bangor with Cam in particular sporting the only pair of shorts I saw all day. ( Even Mike Tindall has jeans on!) But the sunshine was amazing, the going incredible and great vibes from all the riders throughout the day. Jonelle actually started yesterday with her new ride, Lime Rickey ( Rickey). They blasted their open novice slot with a faultless performance for a 25 dressage and nothing to add for a runner up spot. I think that confirms that their partnership is well on its way to being established. Jonelle kicked off her day today with Grappa Nera ( Grape) who reminds me so much of the young Faerie Dianimo ( Maggie May). Grape is hot but calculating, an incredible athlete and a phenomenal jumper over poles and cross country fences. They scored a 35 on the flat which is ok for this time of year… Grape is a work in progress on this phase as she simply wants to to get going! That incredible energy then makes her a pure jumping machine and the next two phases are nothing but fun. Jonelle says she would jump her in a 1m45 SJ class tomorow… she is a class act that is just going to take a bit of time on the flat. Then it was the advanced dudes.. Cloud Dancer (Marley) did his best ever ‘first outing’ test to score 26 which was harsh to say the least! Marley can be naughty but when he is good he is very very good and today he pulled out all the stops to be very good. He, not for the first time, deserved a better score. He then followed that up with a smooth double clear which was not only fun to watch but also stamped his space as a proper advanced horse more than holding his own. Kindred Spirit ( Joey) has had some time off since last summer and a wind op seems to have rejuvinated him. Today he looked happy and delighted to be back and after a good test, an unlucky rail and a super easy cross country round he looked back to being the Joey that we know and love. He has some dedicated owners and I know they would have been delighted with today! Classic Moet ( Molly) was also a bit harshly marked in the dressage for a 30 as apart from the last rather enthusiastic centre line she was pretty much foot perfect. A cool showjumping round with just a single rail was backed up with a fabulously cruisey cross country round and all boxes ticked for the start of the road to Badminton. Tim has had an issue with his knee this week which involved an altercation with the indoor school door runners. No horses were involved, no monkey bike was involved, no alcohol was involved, it was just a normal working day incident! But it did prompt the withdrawal of all his horses from Gatcombe before a last minute reinstatement for Kentucky bound Xavier Faer ( Hugo) in the OI. 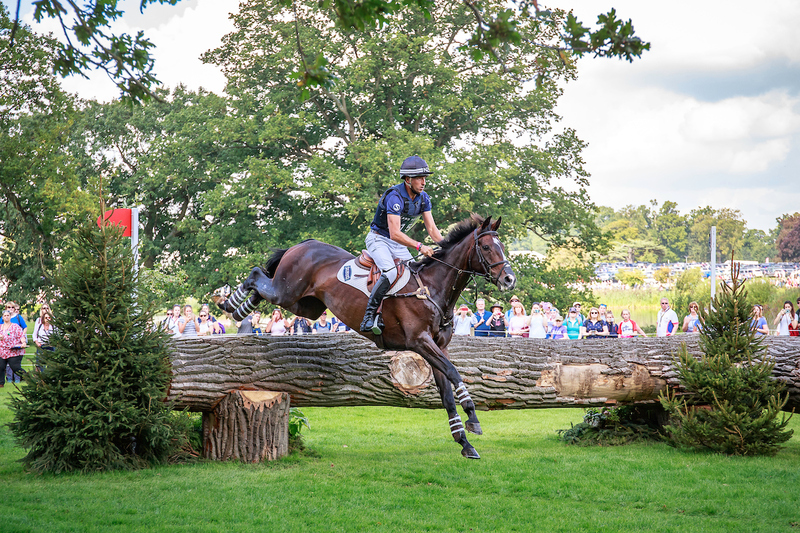 Tim really is the ultimate professional… a 29 dressage, a rail and a fast and clear cross county on Hugo, who has not evented since Chatsworth in May 2018, was just the perfect start to his Kentucky campaign. It’s a fact of Kentucky that the UK based horses have limited runs prior to and Tim was determined not to miss this one. He did the job and he did it proud. What less would we expect?! !